T-R PHOTO BY THORN COMPTON - Cole Davis hits a chip shot onto the seventh green at Elmwood Country Club during the second round of the Times-Republican City Golf Tournament. Davis shot a 3-under-par 67 to finish at 2-under-par 138 for the tournament, making him the youngest City Open champion in its 31 years. Rain and windy conditions greeted golfers early for day two of the 31st Annual Times-Republican City Golf Tournament, and though the rain cleared in time for the rounds to get started only slightly delayed, they did leave their mark on the course. The usually tight, fast greens at Elmwood Country Club loosened up and slowed down because of the early rain, which tripped up a few golfers, but not incoming Marshalltown High School junior Cole Davis. Davis finished as a runner-up in the Class 4A state championship individually last year on a rainy day at Elmwood, and he used that experience to turn in a round of 3-under-par 67 on Sunday. Paired with his 1-over 71 at the American Legion Golf Course on Saturday, that put Davis at 2-under for the tournament. Once the final group had come through, Davis was left as the only score remaining under par, leaving him alone atop the leaderboard and delivering his first City Open championship. Davis, the youngest ever winner of the City Open at 16-years-old, said he had a solid plan heading into day two. T-R PHOTO BY THORN COMPTON - Amber Henson holds her trophy after winning the women’s division of the Times-Republican City Golf Tournament with a two-day score of 169. Henson is the youngest women’s champion in the 31-year history of the event. After making par on the first three holes, Davis had his first and only misstep of the day on the par-4 fourth with a bogey. He would make back-to-back birdies on holes six and seven to reach 1-under for the round and even for the tournament, then another set of back-to-back birdies on the 12th and 13th holes gave him enough to cruise to the victory. When Davis made the turn he was three-strokes back of the lead and had four players ahead of him, all under par. He said that didn’t concern him, however. By the time the championship flight was through the 12th hole, Davis had taken the lead for the first time all tournament. T-R PHOTO BY THORN COMPTON - Grant Greazel hits his approach shot on the first hole at Elmwood Country Club during the second round of the Times-Republican City Golf Tournament on Sunday. Greazel, an incoming Marshalltown High School freshman, finished as the runner-up. 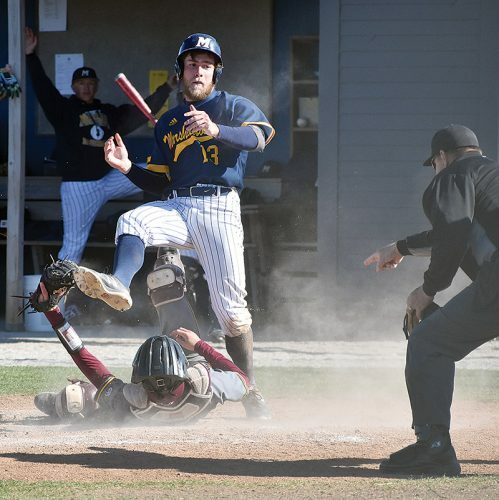 “I kind of felt like everyone around me was struggling a little bit and I played solid,” he said. The only issue Davis said he found was in his putting, partially because of the rain-affected Elmwood greens. Though Davis shot the best round of the championship flight with a 67, his newest teammate on the Bobcat golf team was hot on his heels. 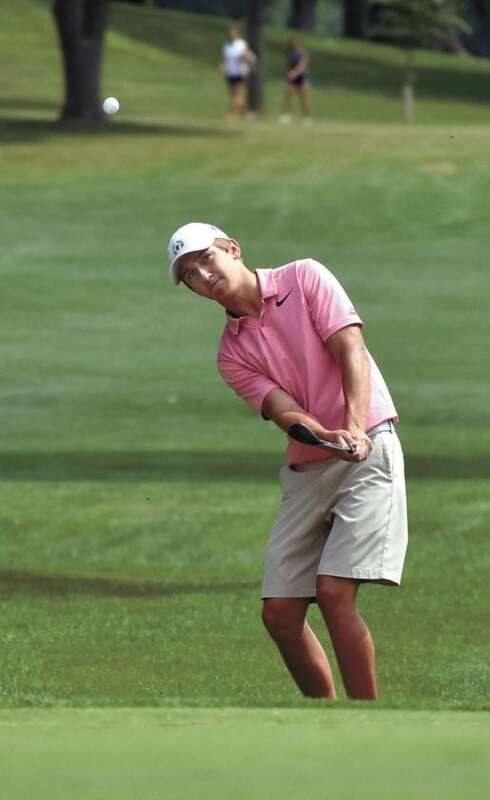 Incoming MHS freshman Grant Greazel — at the ripe old age 14 — finished as the tournament runner-up with an even-par two-day score of 140. He shot a 68 on the second day, only one of three red numbers of the round, and showed some great poise throughout. T-R PHOTO BY THORN COMPTON - Mason Reid rolls a putt towards the cup on the fourth green at Elmwood Country Club during the second round of the Times-Republican City Golf Tournament Sunday. Reid finished in a tie for third with a two-round score of 1-over-par 141. “My shots just kept carrying over, I was really nervous on the first tee but I hit it in the fairway on the first shot and made par on the first hole and that just kept carrying over,” Greazel said. Usually as a round goes on players get into a groove and don’t feel the pressure of the tournament, but Greazel said he had the opposite happen. Like Davis, Greazel only had one bogey on the day and he turned three birdies. He was one of only six players in the championship flight with a birdie on the ninth hole, and he bounced back from his only bogey of the day on the par-5 13th with a birdie on the par-4 17th. Four-time tournament champion Sam Zoske played in the group with Greazel and one group ahead of Davis, and he said the two youngsters definitely earned their placements. Not to be outdone, incoming Bobcat junior Mason Reid and 2014 GMG graduate Chad Plaehn tied for third with a 1-over 141 on their two day scores, with Reid shooting even on the day and Plaehn going 1-over. Both Reid and Plaehn owned a lead at 3-under-par at one point in the round, but both ran into some trouble on the back nine. Zoske too looked like he was making a push at even-par through the first 12 holes, just one stroke out of the lead, but he also found some issues starting with the 13th. Winning this tournament at such a young age, or even finishing as runner-up for that matter, is no easy thing to do. 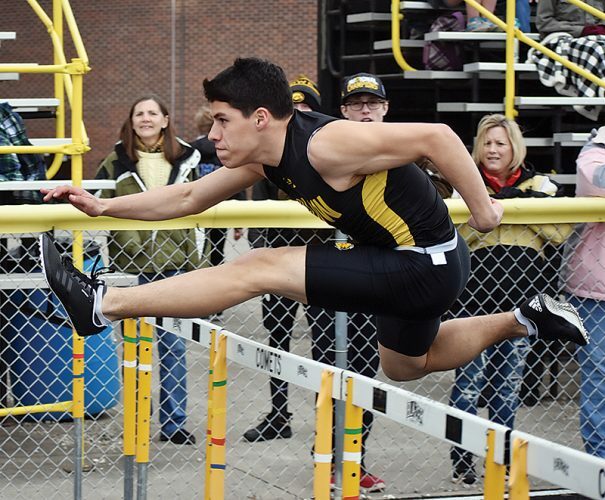 Zoske said you won’t find a much higher level of competition anywhere else in the state. 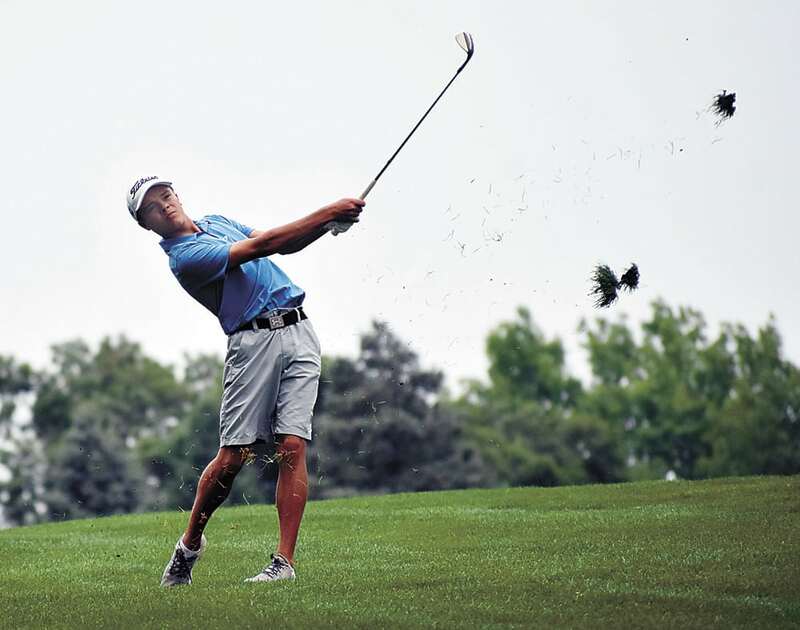 “I play a lot of tournament golf throughout the summer, I played in the Iowa Masters and the state match play tournament and I played Gene Elliot,” Zoske said. “I was leading going into the third round at the Iowa Masters this summer, and I come here and it feels like there is every bit as much pressure playing in the T-R City Tournament as there was at the Iowa Masters this year. 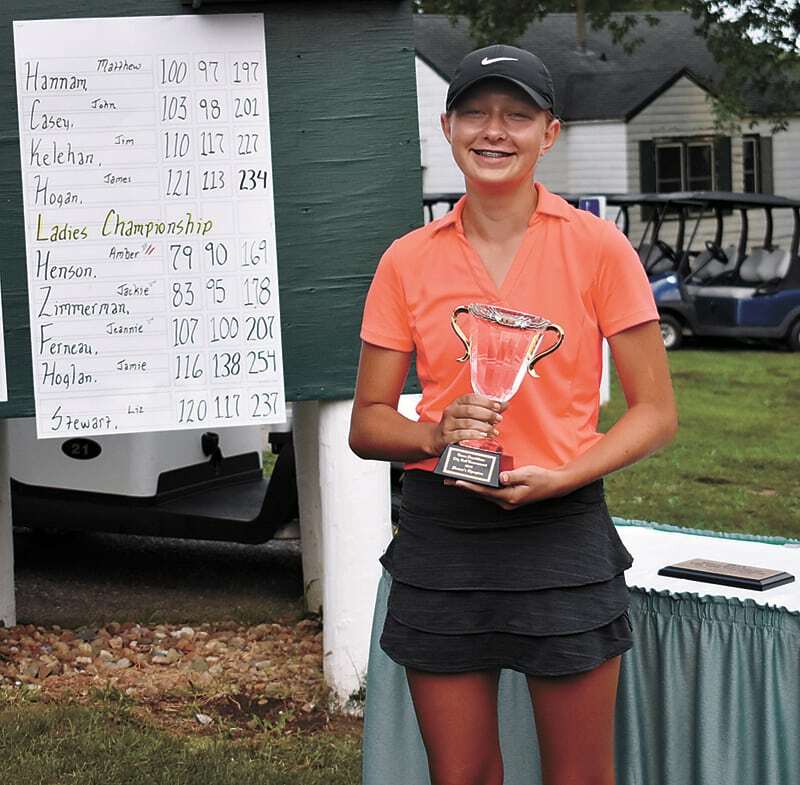 It wasn’t just in the championship flight at the younger players excelled, as 14-year-old and incoming MHS freshman Amber Henson won the women’s division with a two-day score of 169, nine strokes ahead of runner-up Jackie Zimmerman. Henson was in the lead after day one with a first-round 79, and she maintained that lead with a 90 on day two, though she wasn’t necessarily thrilled with that second score. Henson is the youngest-ever women’s champion for the City Open, beating out Whitney Schrader who won the tournament as an incoming sophomore in 2004. Now with a T-R City Tournament championship under his belt, Davis said he has quite a bit of confidence heading into this season of Marshalltown golf. “I have struggled all summer but I think I’ve finally got the monkey off my back, so let’s keep rolling with it,” he said. As for Greazel, taking runner-up honors in the city tournament before even getting into high school play has him on cloud nine. “It gives me a lot confidence going into these next few weeks when we start,” he said. 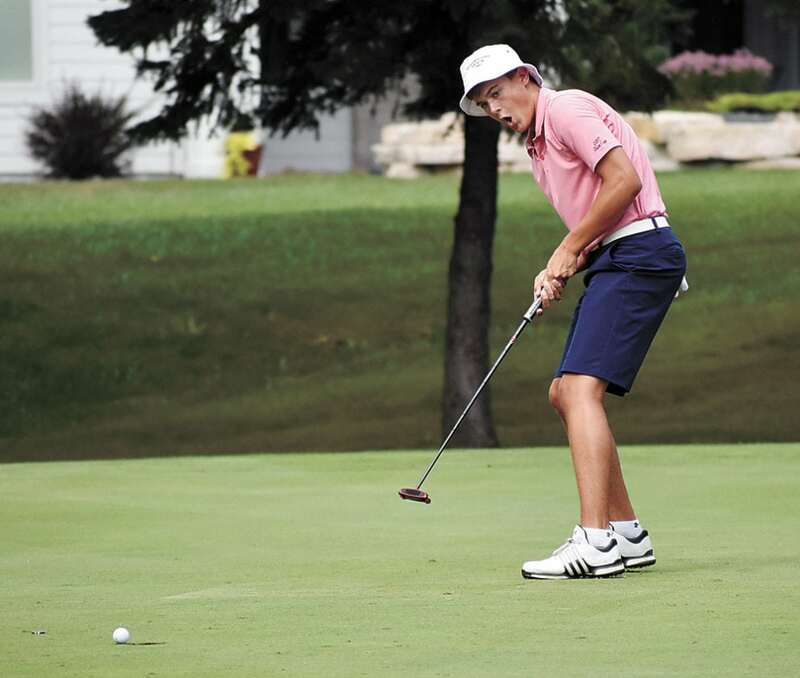 T-R PHOTO BY THORN COMPTON – Cole Davis hits a chip shot onto the seventh green at Elmwood Country Club during the second round of the Times-Republican City Golf Tournament. Davis shot a 3-under-par 67 to finish at 2-under-par 138 for the tournament, making him the youngest City Open champion in its 31 years. T-R PHOTO BY THORN COMPTON – Rob Christensen holds his plaque for winning the Super Senior division of the Times-Republican City Golf Tournament on Sunday. Christensen finished with a two-day score of 136, just enough to beat out Pete Kelly’s 137. T-R PHOTO BY THORN COMPTON – Grant Greazel hits his approach shot on the first hole at Elmwood Country Club during the second round of the Times-Republican City Golf Tournament on Sunday. Greazel, an incoming Marshalltown High School freshman, finished as the runner-up. T-R PHOTO BY THORN COMPTON – Amber Henson holds her trophy after winning the women’s division of the Times-Republican City Golf Tournament with a two-day score of 169. Henson is the youngest women’s champion in the 31-year history of the event. 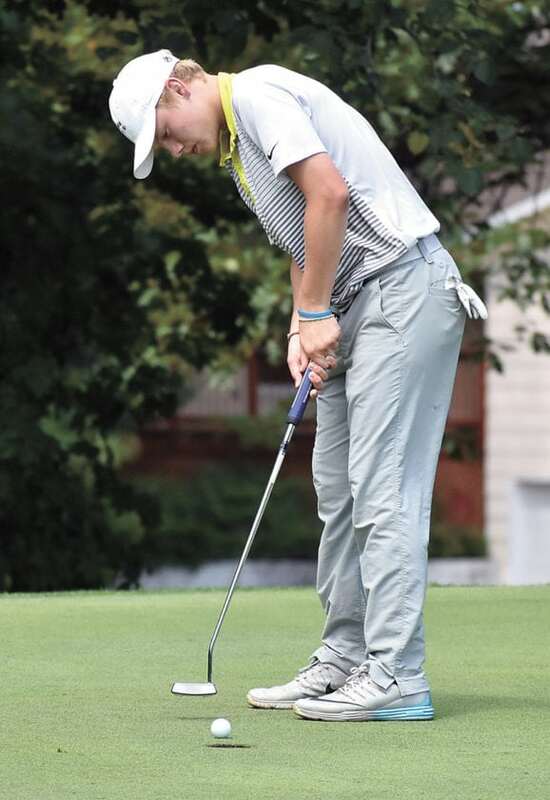 T-R PHOTO BY THORN COMPTON – Mason Reid rolls a putt towards the cup on the fourth green at Elmwood Country Club during the second round of the Times-Republican City Golf Tournament Sunday. Reid finished in a tie for third with a two-round score of 1-over-par 141.